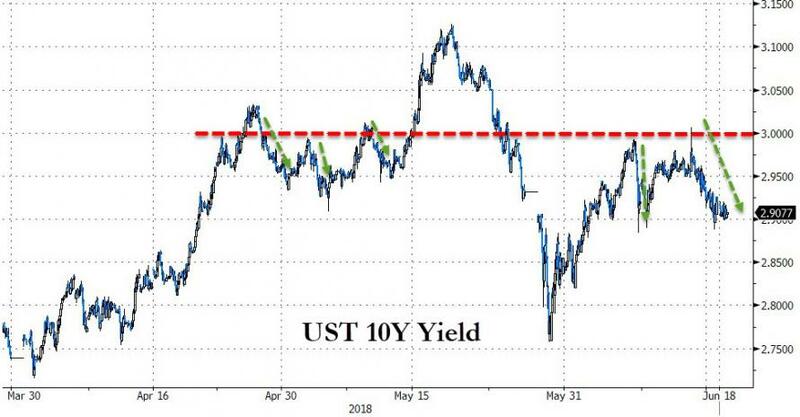 If you watch the mainstream business media frequently enough during the day, you will be reminded, almost incessantly, that 'stocks' are at record highs, Amazon and Apple are fighting it out in the trillion-dollar-market-cap chase, and Netflix calls are safer than Treasuries. 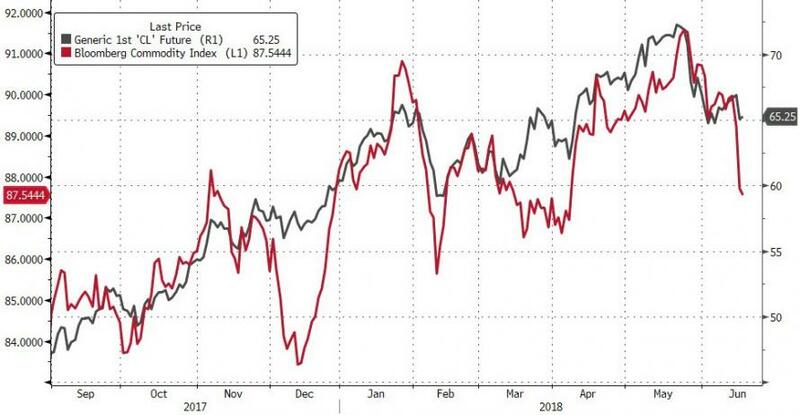 Trade wars are shrugged off, slumping economic data is ignored, and the flaccidity of the broadest stock market measures is brushed off because only 'losers' don't buy the biggest, momo-est, rich-est stocks because they're a no-brainer. However, reality is different from this utopia being constantly pitched at you. As former fund manager Richard Breslow notes, there is so much grumpiness out there today, that I almost feel an obligation to cheer everyone up. But I don’t want to. 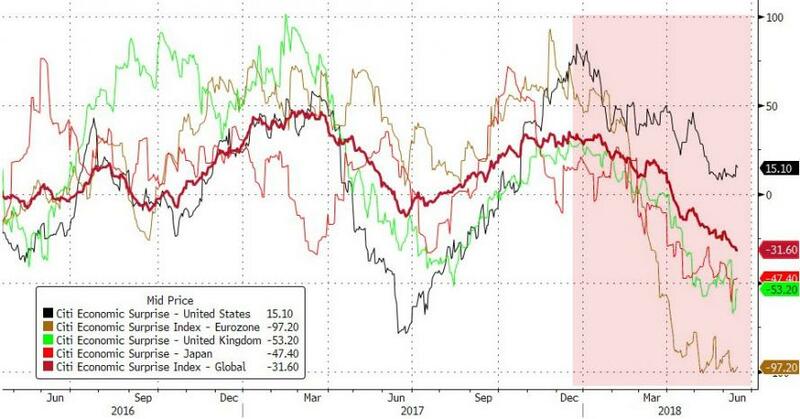 Trade wars, political instability in places that shouldn’t be wobbling, enemies and allies alike glowering at each other and a whole slew of central bank speakers. Just not a lot to look forward to as we begin the week. Put that together with equity and fixed income markets that were showing such good vibrations yet suddenly need to fish or cut bait to avoid looking decidedly risk-off and you get the feeling that the most positive thing that could happen today is if nothing does. There you go. I got it off my chest and feel better already. Now it is up to the markets to make the rest of you more sanguine because I fear you won’t get it from the powers that be. It isn’t asking too much. We just need a few levels to hold. And if recent history proves indicative of future results, there’s a pretty good chance. But first, let’s separate the good from the bad. Oil is sliding with WTI still having trouble at the $66 pivot. It’s a great level to set an alert for before going to do other things. 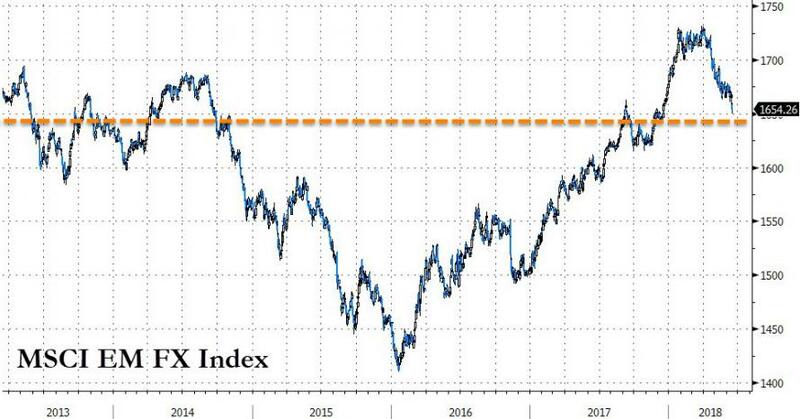 And the Bloomberg Commodity Index is following suit. Although there is a trend line that hints it is at a big level of its own. 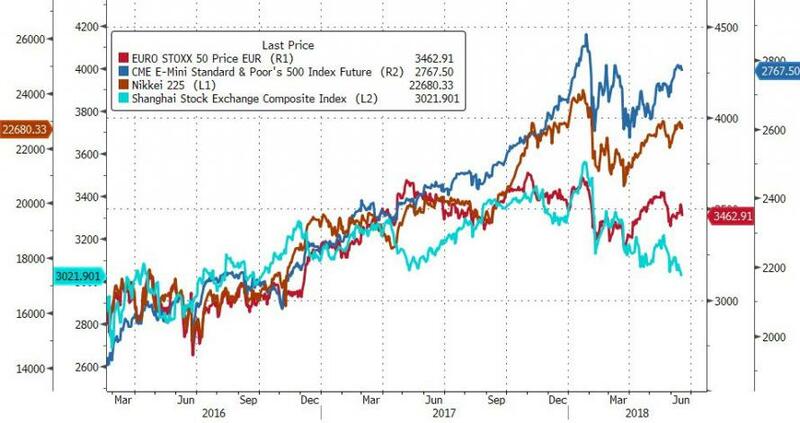 Sagging commodity prices may be pulling some equities down and I feel the pain of the ECB that it toys with their inflation forecasts, but I refuse to complain. Keep reminding yourself that these commodities are also just financial instruments. Up or down does not directly impute some great insight into the health of the global economy. Equity markets look like they are in denial. They know their job is to go up, but their behavior at these levels is becoming sclerotic. They look ill without looking obviously bad. A more aggressive test of 2800 for the SPX looked in the cards last week and it certainly didn’t happen. Support at 2750 is just as big except for the fact that the Eurostoxx 50 and the Nikkei look very tired against their just as important resistance levels. 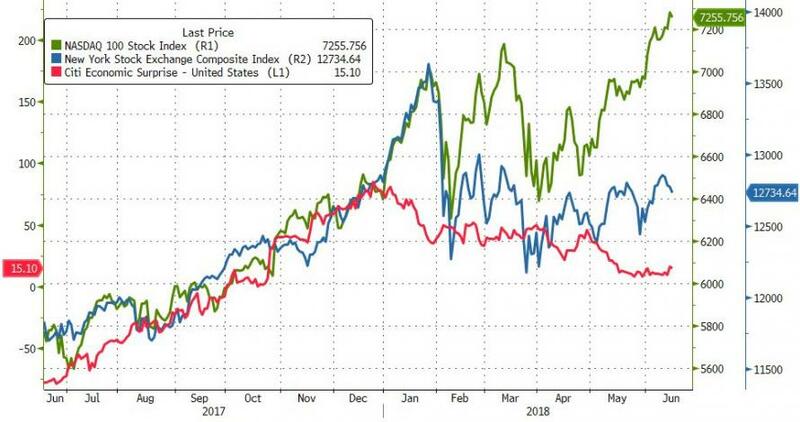 My guess is that we will see how this plays out when the Chinese market reopens and we see what the Shanghai Composite wants to do down at 3000. They always seem to pick good days for a holiday. 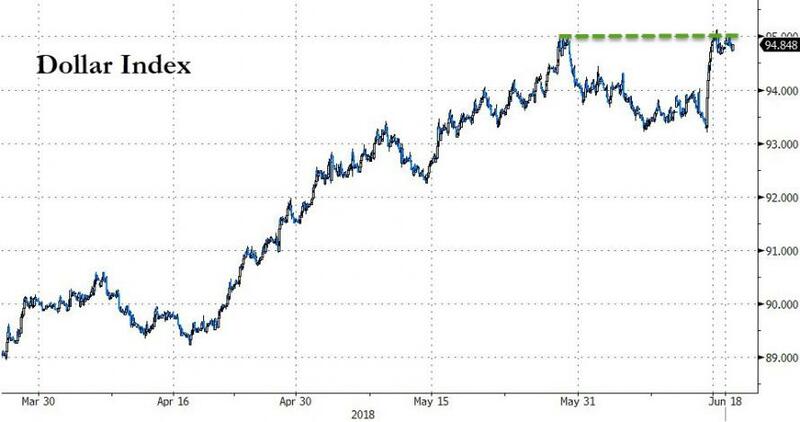 If you want to find something to be seriously concerned about it’s 10-year yields globally trading back at pathetic levels. I keep asking myself why investors remain willing to accept these returns. And I’m not sure I want to know the answer. As bullish as the dollar story reads, the jury is still out. Having said that, the May 29 extremes are good pivots and close to where the currency ran out of steam last week. With so much European drama being staged this week, it’s nice to have close levels to lean on. Watch Merkel and May and don’t get too hung up on Sintra. And as a bonus, watch the MSCI Emerging Market Currency Index against 1640 support. One way or another, that could tell you what all the other asset classes are planning for their summer activities.